LIDL is proud to be located on Lime Kiln Close, a 1.11 mile driving distance north-west from the centre of Peterborough (near HMP Peterborough, Westward Grange Allotments and Post Office - West Town). Customers can easily come here from Millfield, Walton, Gunthorpe, Netherton, Peterborough Town Centre, Dogsthorpe, Paston, New England, Werrington and Ravensthorpe. North Bretton. If you'd like to stop by today (Friday), its operating times are from 8:00 am until 10:00 pm. On this page, you may find hours of opening, place of business address, customer experience and more information about LIDL Peterborough, Westfield Road. LIDL occupies a position close to the crossroads of Westfield Road and Lime Kiln Close, in Peterborough, Cambridgeshire. 1 minute trip from Westfield Road, Priory Road and Grange Road; a 4 minute drive from Fullbridge Road, Bourges Boulevard, Bretton Way, Greyston Way and Junction 17 of Soke Parkway/A47; or a 5 minute drive from Paston Parkway and Nene Parkway. To get to this store easily, enter the following navigation coordinates: PE3 9TA. If you prefer to travel by bus, alight at The Halcyon, Westfield Road/Prison or Mayors Walk/St Johns Hall. Serviced by routes Citi 3 and Citi 4. Patrons will want to alight at Peterborough Train Station (3280 ft away). The easiest lines to use are the East Midlands Trains, Grand Central, Great Northern, Greater Anglia, Virgin Trains EC and CrossCountry. In the neighbourhood you will discover Brotherhood Retail Park, Watergall Primary School, Queensgate, Peterborough City Hospital, West Town Primary School, Bretton Centre, Honeyhill Community & Children's Centre, Dogsthorpe School, Paston & Gunthorpe Community Association and Fullbridge Park. Right now, LIDL operates 2 supermarkets in Peterborough, Cambridgeshire. 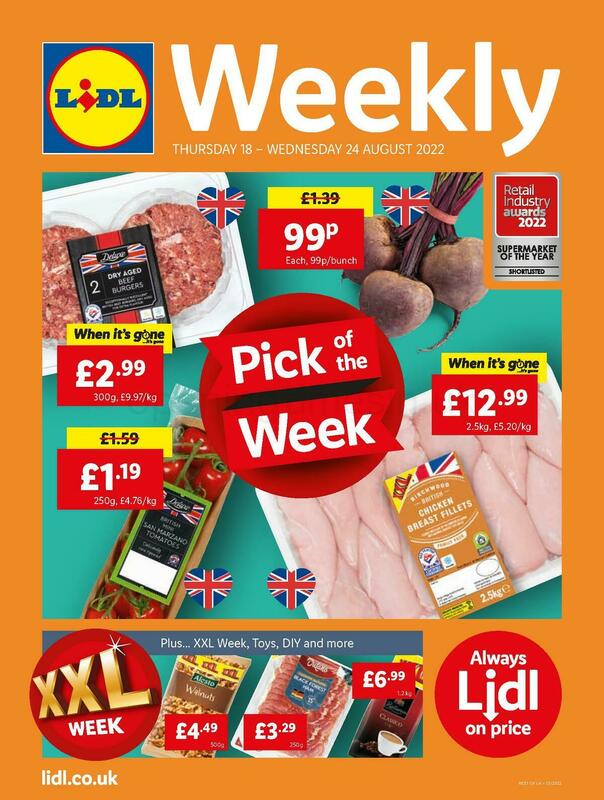 Browse this link for a complete directory of LIDL branches near Peterborough. Please be advised that over the UK holiday period the open hours for LIDL in Peterborough, Westfield Road may differ from regular times proclaimed above. For the duration of 2019 these alterations involve Xmas, New Year's Day, Easter Monday or Summer Bank Holiday. To get further information about holiday hours of business for LIDL Peterborough, Westfield Road, visit the official homepage or call the customer number at 0800 977 7766. Opening Times in the UK is always striving to provide you with the most up-to-date information. Please don’t hesitate to make use of this form to report any errors with the contact details or hours of operation for LIDL in Peterborough, Westfield Road. Using the space below, you are welcome to share your feedback about LIDL, and rate the store using the star scale.